Vegemite is an Australian food icon. 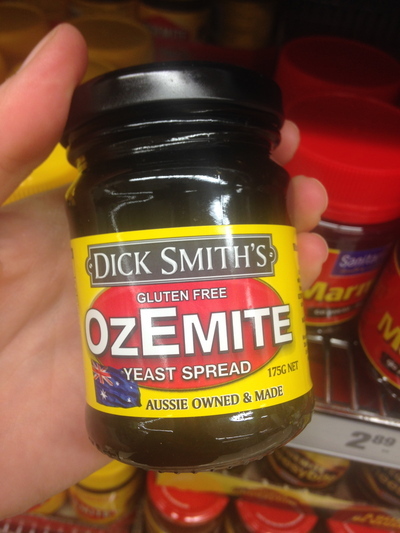 There are a few other food pastes with similar names that are gluten free, however nothing comes close to the popularity of Vegemite. This paste was invented by chemist/food technologist Dr Cyril Callister in Melbourne in 1922. The core ingredient in Vegemite is a form of yeast extract that is perfect as a spread on toast, sandwiches and crumpets to name. The challenge was in inventing a healthy spreadable paste, of which was labelled as a pure vegetable extract out of brewers yeast - full of vitamins from the B group which is great for iron absorption. Marmite is still around, as well as another alternative. 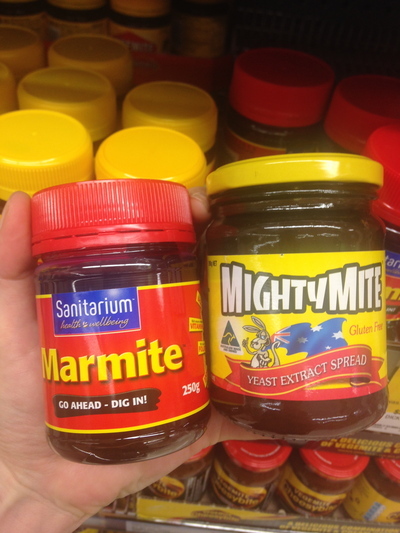 Vegemite dominated the shelves at this Sydney based supermarket. At the time, the Fred Walker Company (now Kraft) ran a competition to find a suitable name for this Vitamin B yeast extract. In 1923, Vegemite was born. This product had difficulties launching into the marketplace at first. Marmite was already quite popular. As a result of slow sales in 1928, Vegemite was re-named to Parwill. 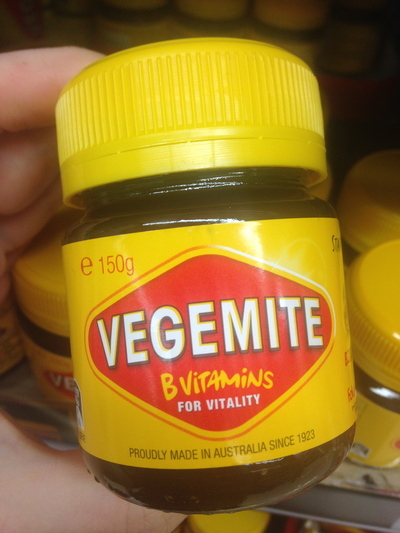 Fred Walker changed the name of this Aussie food product back to Vegemite in the late 1930's. Not long thereafter, another promotion was initiated to boost sales of Vegemite. As a result, this product gained endorsement by the British Medical Association, and healthcare professionals were recommending this Aussie icon to their patients as a nutritional food item to consume. By 1942, Vegemite was accepted into virtually every Australian household. 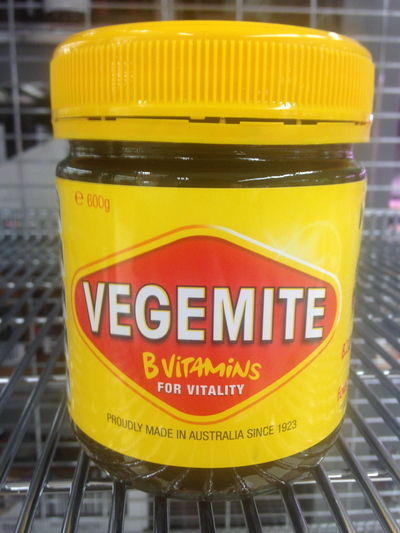 From this point onwards, about nine out of every ten Australian homes consumed Vegemite on a regular basis. In 1956, Kraft developed the Happy Little Vegemites song into a TV advertising campaign which continued right through to the late 1960's. In the 1980's this song was re-broadcasted, and was officially dubbed Australia's second (unofficial) national anthem. This same TV campaign went to air in 2010 to remind Australian's of the health benefits of Vegemite. In 2008, the billionth jar of Vegemite was produced. In fact, to this day Australian bakery franchise Bakers Delight use Vegemite as one of the core ingredients (in line with cheese) on their ever popular Cheesymite Scrolls. This Australian innovation was also featured in the top 10 Australian Inventions display at Powerhouse Museum - Science & Design in Sydney in early 2013. 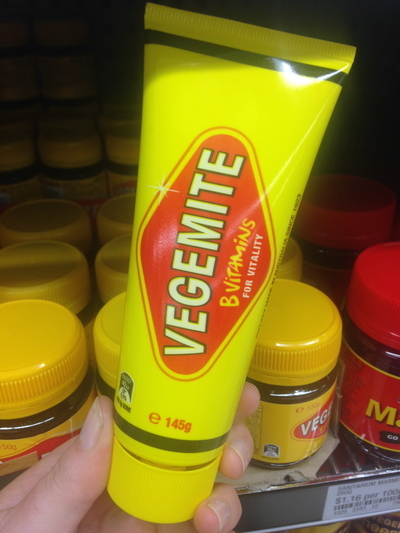 Head to a local supermarket today, and Vegemite is available in a variety of different jars - as well as in convenient tubes. 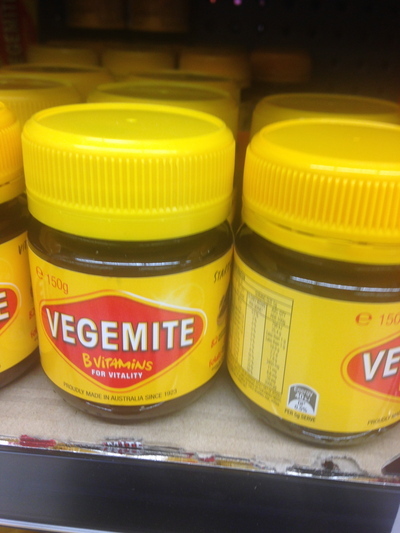 It sounds like Australian's still adore their Vegemite to some degree. Even our American counterparts do.